Honey – is a sweet product produced by honey bees from the nectar, honeydew and sap of plants with enzymes secreted by bees’ salivary glands. Therefore product obtained by feeding the bees with sugar or sugar syrup is not honey. 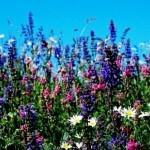 You should buy natural honey in the summer, precisely at the time of collecting of nectar from plants. 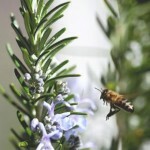 What is so special in natural honey? It contains aroma of herbs. Hence, it has so beneficial essential oils, phosphorus and iron, magnesium, calcium and other macro – and micronutrients, a lot of vitamins. 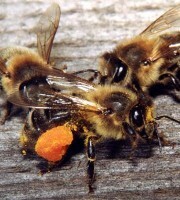 Scientists believe that the dark honey contains more minerals and, therefore, it is more curative. Which honey is ideal for the treatment? A good choice of honey is important. It must meet the following conditions: that the honey is not heated, not exposed to direct sunlight and is not stored in a damp room, the honey bees were not fed with syrup. The best varieties are lime, buckwheat, wild herbs, chestnut, lavender. Honey is useful for all patients and healthy people as a therapeutic and prophylactic agent. 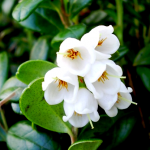 It is necessary for immunity to take 100 grams per day, divided in 3-6 servings for 1-2 months. Application of honey is recommended for all types of wounds, dermatitis, pharyngitis, sinusitis and expression of the cervix. Inhalation is useful in the treatment of chronic and acute rhinitis, pharyngitis, laryngitis, tracheitis, bronchitis, bronchial asthma. All patients intolerant of honey and those who need to limit the amount of carbohydrates should not use honey. Inhalation can not be taken for those who have heart failure, elevated temperature, cardiac asthma. 1. Treatment of wounds. 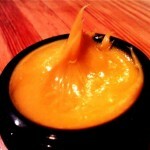 The application of honey to wound has antibacterial effect, causing the wound cleaning of pus. Wound completely heals after 4-6 treatments. 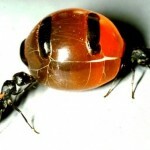 – In the treatment of abscesses, honey is mixed with rye flour, it is applied to the affected area, strengthening with the bandage. It helps after two applications. 2. Treatment of gastritis. Bee honey has beneficial effects on the secretory activity of the stomach, improving ingestion. 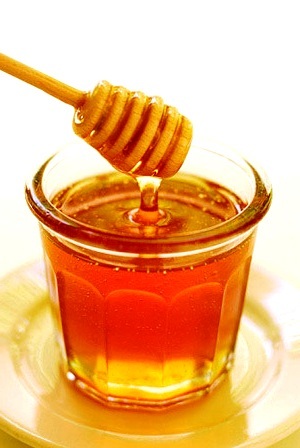 Acceptance of honey for an hour before a meal increases the acidity of gastric juice.Treatment of gastritis with honey can be combined with medications. Eat honey 3-5 times a day not more than 100 g, dissolved in lukewarm water. 3.Honey strengthens teeth! 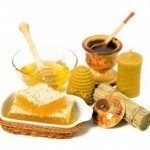 Honey has antimicrobial activity, it is used in diseases of the oral cavity and gingivitis. Honey water is used as a rinse and held as much as possible in the mouth. It is not true that frequent consumption of honey can cause dental disease. 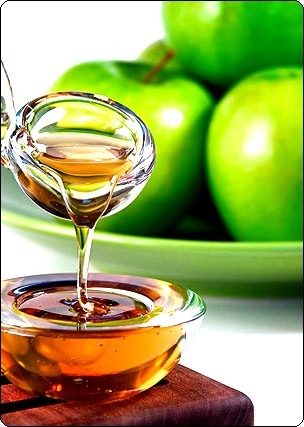 Chewing of honey in the comb is a good prevention of caries. 4. Treatment of hypertension. 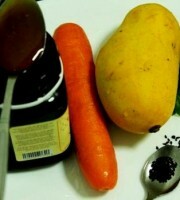 Honey with juice of vegetables is successfully used in the treatment of hypertension. Glasses of beet juice, carrot, horseradish (pre-grated and infused in water for 36 hours), one glass of juice of one lemon are mixed with one cup of honey. Take 1 tablespoon 2-3 times a day 1 hour before meal. The course of treatment – 2 months. 5. Honey treatment for colds. Carrot juice, boiled hot milk and honey in the ratio of 5:5:1 are infused for 4-5 hours and drunk 0.5 hot cup 4-6 times a day, it relieves cough. Children cough. Mix well 100 g honey and 100 g of fresh butter, vanilla powder. Take 3 times a day, one teaspoon. The recipe works instantly! Before use of honey you should consult your doctor. 6. Honey is ideal for massage! Honey contains nutrients that accelerate metabolism, removal of toxins. Facial massage with cell honey. Cut honeycomb with a sharp knife just before massage and immediately use. In this case, all the active compounds, a variety of volatile and enzymes do not have time to oxidize. Honey should be spread evenly on the face for 5 minutes. Make light massage movements. When the fingers touch and then are detached from the surface of the skin, you create a vacuum, sucking grease through the skin pores. 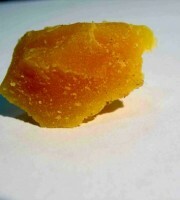 Slag, mixed with honey, form the whitish mass, which is washed off with warm water. The most favorable time for a massage – the morning, immediately after waking. It is recommended to make 10 – 15 sessions in a day. The only contraindication is allergy to honey. 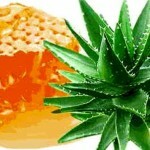 Cellulite honey massage: the honey is applied to the palms of the hands and you pat the massaged area. One part of honey is on the area, the other remains on the hands. If there are several zones – each zone is massaged by one. 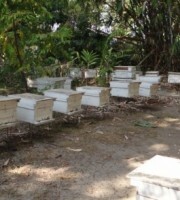 When honey is completely on the body, palms are firmly “glued” to the body and torn off sharply. Gradually, clap movement should become sharper and stronger. The procedure is carried out for 5-10 minutes. After the massage you need to take a warm shower, wash the skin with anti-cellulite massage oil. Eat honey and let it bring health and beauty to you and your family!